From Belgium, where the best beers in the world are brewed to the United States and Canada where the craft beer scene is growing daily. 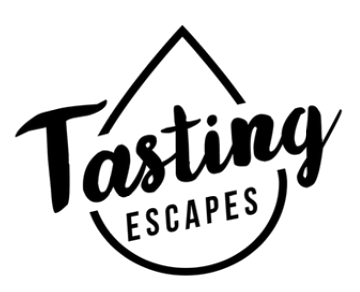 On Tasting Escapes explore and discover the world's various different brewing styles through tap room visits, brewery tours, and beer and food pairings organized by local beer experts. There is nothing like uncovering the great city of San Francisco by bike! 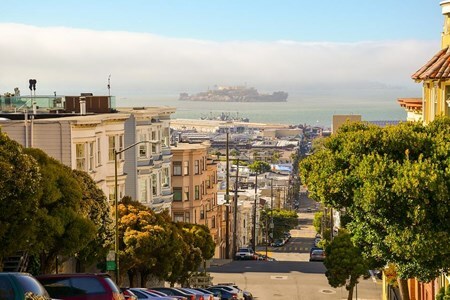 Discover some of SF’s newest and hippest neighborhoods. 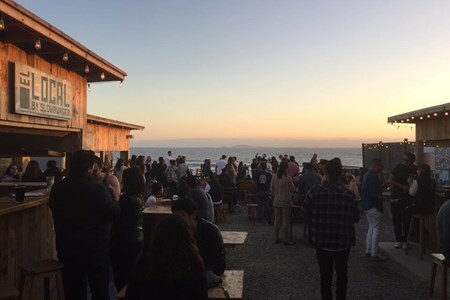 Starting and finishing in SOMA, you will explore ... moreoff the beaten path places and enjoy pints at SF’s finest beer drinking establishments.This cultural and historical city bike tour will take you to three local beer destinations to enjoy San Francisco’s finest brews! Join us for a Portland culinary and cooking adventure while we celebrate the great beer and the vast collection of flavors that it compliments. We are teaming up with the wonderful ... morefolks at Nourish Northwest to offer a food and beer pairing tour. We’ll discuss topics such as tasting tips, using beer as an ingredient in your recipe, what tasting characteristics beer lends to the finished product, and how to pair food and beer together for an ideal culinary experience. Our tour will begin at a brewing for beer 101 and an intro to the brewing process and how ingredients imparts flavors in beer. Then we'll head to Nourish Northwest for a cooking class where we'll craft a meal (Drunken Farro and Blood Orange Salad with Stout Balsamic Glaze and Winter Ale Chili)! And, of course, all of these recipes will both incorporate and be paired with amazing beer from some of Portland’s best breweries! 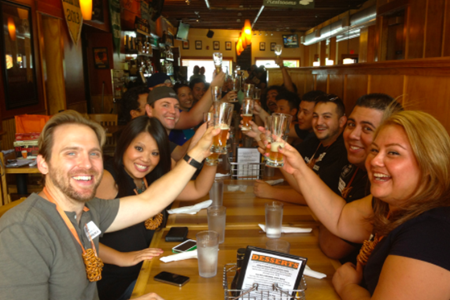 We'll finish with a VIP experience at a local taproom. Tour includes transportation, hands-on cooking class, food, beer tasting, sampling journal, and pretzel necklace. Brooklyn, New York may be famous for its trendy craft beer scene right now but you should have seen it in the 19th century! 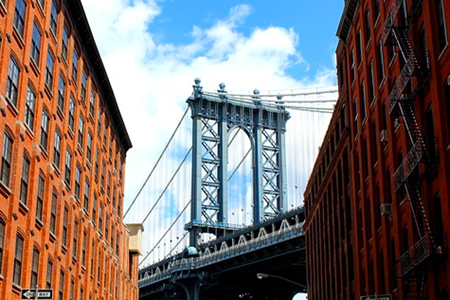 Brooklyn was once home to 48 breweries, this ancient trade ... moredisappeared from the famous borough in the 1970s. 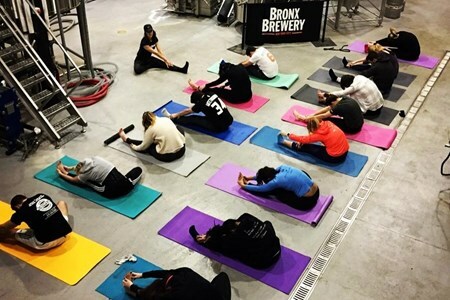 On this BK walking tour, you will get a chance to learn more about how beer is made, explore the pre-prohibition era breweries that still stand and taste plenty of NY craft beers along with some classic NYC pizza. With us - we make you the brew master. 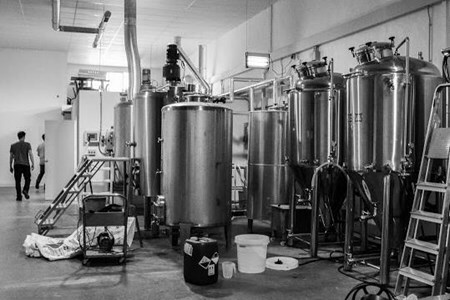 Our Brew On Premises is a DIY Beer making laboratory, completely at your disposal. Don’t worry about your experience level — our knowledgeable ... morestaff will support you with as much or as little expert guidance as you want. We’ll help you choose from our list of tried and true recipes or develop a custom formula that fits your unique tastes. We provide everything you need from recipe and ingredients to equipment and expertise. You can make one or two batches of beer at a time. Each brewing session takes from 3 to 4.5 hours depending on your recipe and each batch will yield roughly six cases (144 bottles) of beer. Chose from one of our many house recipes or we’ll customize one to your specific needs. SCHEDULE YOUR BREW DAY: Fill out the form on this page and choose your beer style(s). Choose from one of many different house recipes or send us a message discuss how we can customize one for you. BREW DAY: Make the beer! Brew day is when the fun begins in earnest. During the brewing session you’ll work with a master brewer to blend malt, hops, yeast and water in perfect harmony to create beer. One of our experts will be on hand to help as little or as much as you need. Arrive at least 15 minutes in advance of your appointment. Reservations that are more than 30 minutes late without prior notice may be canceled. We’ll schedule the bottling day at this time. Up to 6 people are invited to join you and are included in the price. We’re happy to accommodate additional invitees and private events. Additional fees will apply. FERMENTATION: Leave the beer to ferment. We’ll tuck your beer into our temperature controlled fermentation chamber where it will be lovingly cared for over the next two to three weeks. We’ll check your beer two to three days before bottling and will notify you if it needs more time. RACK THE BEER: We'll prep it for bottling. Behind the scenes we rack (transfer) the beer to a bottling keg and prepare the space for your return visit. BOTTLING DAY: Return to bottle your beer. You return and package the beer into either 12 oz or 22 oz bottles. Bring friends! Six cases usually takes about an hour and a half. You take all six cases home with you. Upon request, we can provide kegs (Sankey or Corney). CONDITION & ENJOY: Take it home, condition and enjoy. All beers produced at Bitter & Esters are force carbonated and are ready to drink the day you bottle them. Many recipes will continue to develop and improve in the bottle with extended time and can be enjoyed for many months to come. Rinse, clean and store your bottles upside down for reuse next time you brew. 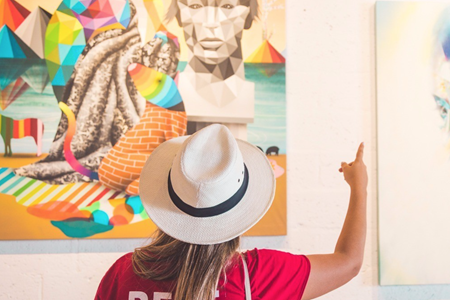 On this Miami tour, get ready to be cultured as you visit the best places for street art and design. This trip is all about art and beer on Wynwood. The prominent Wynwood walls and ... moreWynwood doors feature the most iconic street art. The tour begins at the Wynwood city, where will see iconic mosaics, colorful murals, and graffiti art. We then proceed to Second Avenue where will visit galleries showcasing pop art, fine art, and modern art from essential artists. 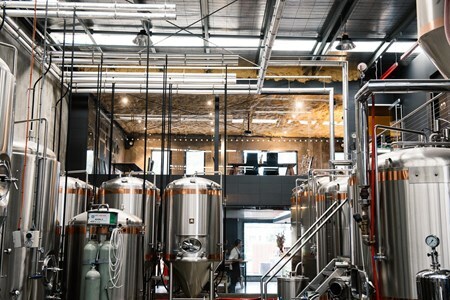 Next, we relax at a favorite brewery, enjoy a beer or a non- alcoholic drink as the guide lead us through the history of beer in Miami, the beer making process and discuss the current beer culture in Miami. Afterwards, we will visit a local coffee shop that roasts its coffee. Head to a nearby market that opens from Friday up to Sunday then stop by a popular joint for a delicious snack. The tour continues as we walk down the streets and see more trendy local shops, more murals, as well as street art. Then we head towards the final stop of the tour and enjoy a beer or non-alcoholic beverage. If you decide to extend your vacation to Miami, we will be ready and willing to offer suggestions. During your local beer tour you will get to see the historic city center of Amsterdam, cross the Red Light District and the old port of Amsterdam. Get to know the culture of the Dutch capital as well as some peculiar places, while visiting four breweries, tasting their best creations, combined with some local gastronomy products. Learn about Amsterdam's history, its anecdotes, the cities best tips, while walking from brewery to brewery, truly discovering where the locals prefer to go, with very few tourists insight. 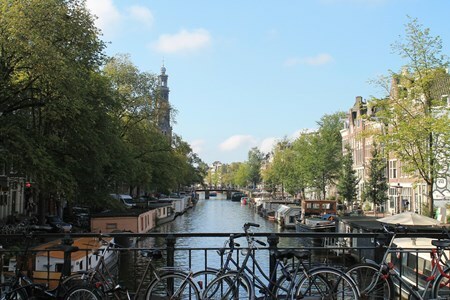 This is the Amsterdam you are sure to fall in love with! Descubre los locales más emblemáticos del centro de la ciudad de la mano de un guía local, degusta sus productos más representativos y siéntete un amsterdammer más. Durante el recorrido de el Tour de la Cerveza podrás conocer el Centro histórico de Amsterdam, atravesar el Barrio Rojo y el viejo puerto de Amsterdam, conociendo la cultura de la capital holandesa así como los lugares más peculiares, mientras visitas cuatro de las cervecerías más emblemáticas, probando sus mejores creaciones, combinando con algunos productos de la gastronomía local. Conoce la historia de Amsterdam, sus anécdotas, los mejores consejos, mientras caminas de una cervecería a otra, introduciéndote en los lugares donde prefieren ir los locales, donde pocos turistas llegan, ese Amsterdam que enamora a quien vive aquí y que corres el riesgo de enamorarte tú también. El precio del Tour incluye una degustación de cerveza en cada local que se visita, así como un aperitivo de la típica gastronomía holandesa. Waiheke is famous for its wines, with delectable Syrah and Bordeaux blends topping the list when it comes to wine varieties that this region is famous for. However, there is so much ... moremore to this island than amazing vineyards and skilled winemakers. So, we though that we would combine a traditional winemaking tour with the opportunity to experience some of Waiheke's other attractions. Thus, our unique Waiheke wine tours were born! Our full and half day tours let you take breaks from the business of tasting wine to swim in the sun splashed sea, rove through breathtaking nature trails and olive groves, and explore some of the island's most buzzing bars. 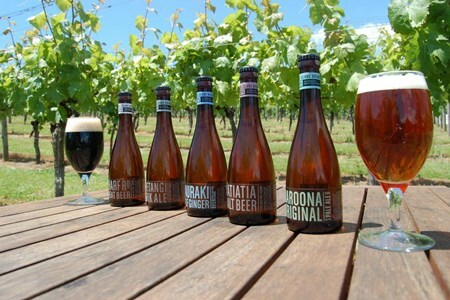 As well as wine tasting tours, we also offer opportunities for craft beer and olive tasting experience. Choose our gold tour for sunbathing, both beer and wine tasting, a degustation experience, a beach swimming and sunbathing slot, a tour of a vineyard and some delicious lunch options. Alternatively, opt for the silver tour, which is much the same except lunch is at a cafe by the sea. 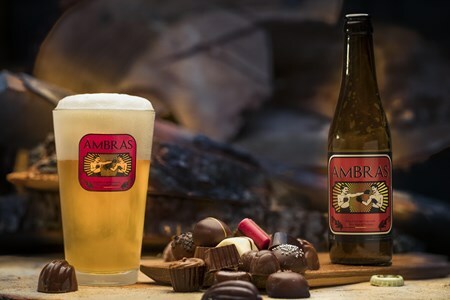 Get ready to be wowed when we introduce you to chocolate, vanilla, coffee, toffee and bacon-flavored beer, refreshing summer ales, crisp seasonable lagers, fruit-infused barrel aged ... moreales and experimental single batch brews at some of Melbourne's best small breweries and craft beer venues.